Protection Plans Available in Northeast Ohio! Protect your vehicle and the environment. (Auto Buying Consultant) at the largest automotive retailer in Ohio! When you are in the market for comprehensive automotive service and vehicle protection for your new or used Toyota purchase, browse our menu of Vehicle Protection & Service Contracts. 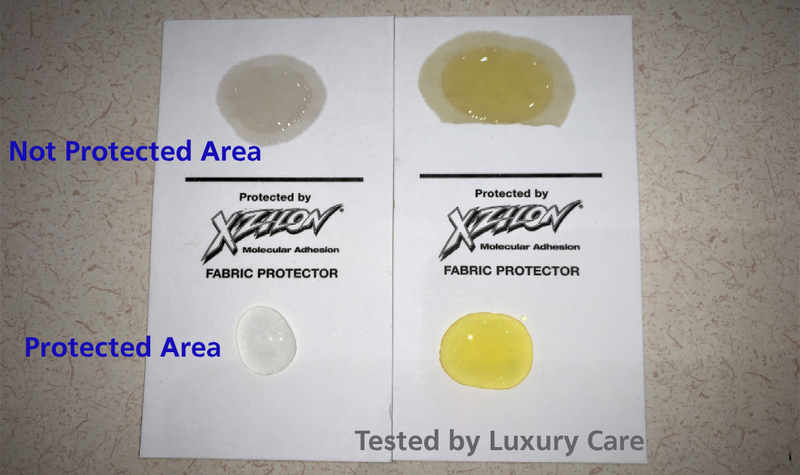 How Xzilon protects the Interior and Exterior of my Vehicle? We in Northeast, Ohio are proud to offer a full selection of service and protection plans to help ensure your new Toyota, or pre-owned vehicle receives the treatment you expect and deserve should damage or mechanical repairs be necessary. When your Toyota‘s original factory warranty expires, expensive repair invoices can quickly mount up. Fortunately, there is a way to protect yourself from costly surprise repair bills. To discover more about this money-saving coverage, continue reading about our full range of Vehicle Protection & Service Plans. Plans come in five tiers to meet your driving habits and budget needs: Platinum, Gold Plus, Gold, Silver, and Powertrain Coverage. Here is the test on protected and not protected paper, simply shows the interior and the exterior (body paint) won’t absorb dirt, liquid, oil, and vehicle stays shiny like showroom cars. Download the Brochure xzilon brochure! Look at more pictures for this test here! Protection from weather-induced fading, UV exposure, oxidation, hard water etching, bird droppings, tree sap, road salt, road de-icing agents, acid rain, insect damage including love bugs, accidental spray paint overspray, and industrial fallout. Xzilon Green™ performs in heat when other products fail. Many waxes and sealants emulsify (or break down) with the kind of surface heat that can occur on a sunny day. The performance of Xzilon Green™ is warrantied for up to 5 years. Claims submitted online! Service, when needed, is just a couple clicks away. Xzilon Green™ is Earth-friendly, far beyond industry compliance. It is water-based and 100% VOC* free. All packaging & printed marketing are recyclable, utilizing an Earth-friendly printing process. When you purchase an exciting new Toyota model, you want to keep it looking like it just rolled off the assembly line for as long as possible. A Ding Shield Service Plan from us helps you do just that! Our Ding Shield Plans protect your automotive investment by making it quick and easy to repair exterior dents and dings. Best of all, our Ding Shield Plans also cover your new Toyota‘s interior should tears, rips or cracks appear. If another driver or shopping cart dents your door, avoid the costly and time-consuming hassle of finding a body shop, simply use a Ding Shield Service Plan. You can have all of your dent, ding and tear repairs done at your local Ganley dealership during any routine service visit. Restore and renew your car to showroom condition without extra expenses and trips to a body shop by selecting a Ding Shield Service Plans. Ding Shield Plus protects your car from all minor exterior damage. Damage includes unlimited dent, ding, and crease repairs as well as unlimited hail and acorn damage. The Ding Shield Ultimate plan includes all the helpful perks as the Plus Plan, with the addition of headlight brightening, interior repair services, and windshield chip repair. If your new Toyota or quality used car from Ganley Toyota acquires any minor rips, tears, burns, punctures, or scratches up to 2 inches in length, then take advantage of Ding Shield Ultimate’s interior repair services. How can I buy Xzilon®? 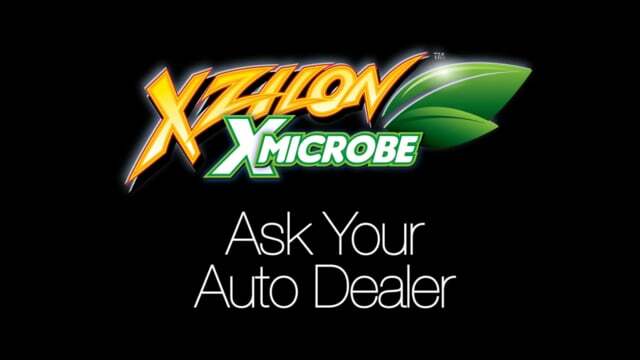 Xzilon® is only sold and applied by Authorized Auto Dealerships throughout the NEO. Contact Adventure Global Automotive solutions, LLC., for the dealership nearest to your location contact me HERE!. How do I clean my vehicle after Xzilon® has been applied? We suggest regular routine washing and general maintenance on the vehicle. Regular washing and drying should be at least every 2 weeks, including interior vacuuming, in addition, we require the immediate removal of spills and debris. 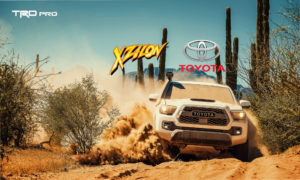 What products do you recommend for washing my vehicle, with Xzilon® applied to it? You may use any high quality, non-abrasive car soap. However, to ensure your protection, Xzilon, Inc. recommends our Xzilon® brand Wash & Wax. 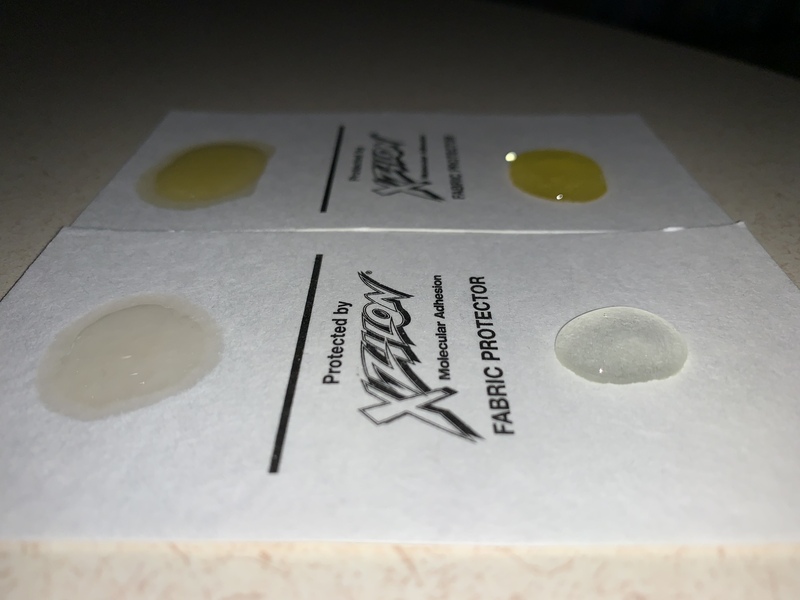 Can I wax my vehicle, after Xzilon® has been applied to it? Yes, you can use any nonabrasive carnauba wax applied by hand. Waxing is not required to maintain your warranty. Will I have to have Xzilon® reapplied before the end of my limited warranty? No, reapplication is not required. Can I take my vehicle, with Xzilon® applied on it, to a car wash? Yes, you can use a drive through a car wash, as long as it is a “Touch-less” or “Brush-less” variety. You never want anything to scratch your protection. Please make sure your car is dried completely. You may wish to dry it by hand with a soft cotton towel or a chamois. Can I wash my vehicle, with Xzilon® applied on it, at a “hand car wash”? Yes, absolutely. Just make sure your vehicle is completely dried with a soft cotton towel or a chamois. 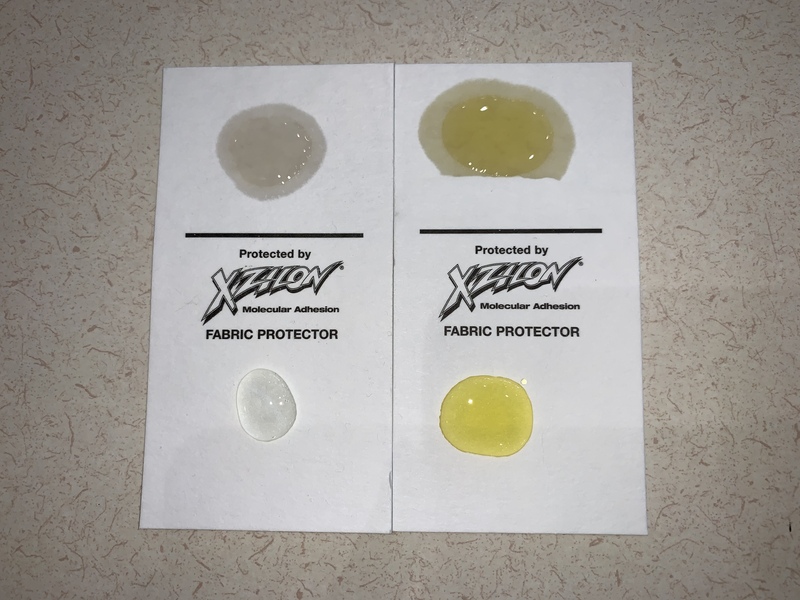 Can I use a buffer or machinery on my vehicle, that has Xzilon® applied on it? We don’t recommend any machinery or abrasives to be used on your vehicle’s paint. 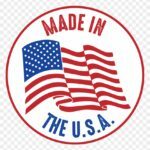 What is the Xzilon® Limited Product Warranty term? If you have already purchased Xzilon®, review the Xzilon® Limited Product Warranty that you received from the selling dealership. Otherwise, ask your authorized Xzilon® selling dealer for more information. Can I have Xzilon® reapplied after my limited warranty has expired? YES! Contact your authorized Xzilon® selling dealer for more information. To learn more about Xzilon and Ding Shield Service Plan, contact me HERE! Twitter, Facebook, Google+, Linkedin. Shop and Detailing! Posted in Uncategorized and tagged Akron Car Polish Exotic Auto Detailing, Detailing Akron OH, Ding Shield Service Akron Ohio, Ganley Auto Group website, Ganley Toyota website, How Long Does Xzilon Last?, How Much Does Xzilon Cost?, where to buy Xzilon in Ohio, Xzilon Akron Ohio Vehicle Protection, Xzilon Cleveland Ohio, Xzilon Paint Protection Coating Reviews.